Welcome to Hudson Honda in West New York, NJ! 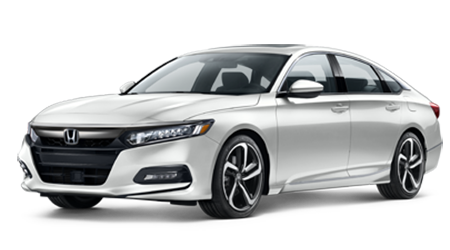 The stylish and refined tenth generation Honda Accord has arrived, sporting advanced driver-assist features and potent turbocharged powertrains. Secure a sporty and fuel-efficient new Honda Civic in sedan, hatchback or coupe form today to experience a car that exceeds your expectations. 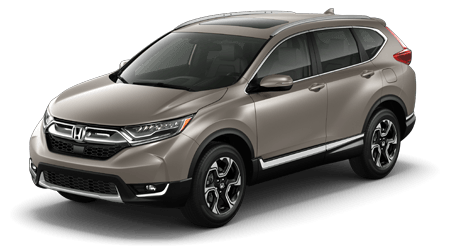 Honda's high-tech new CR-V brims with advanced features plus the smart storage solutions drivers have come to expect from this top-selling SUV. Get into the innovative new Honda Pilot, where your family can enjoy modern conveniences and the latest safety technologies from Honda. Our new and pre-owned Honda dealership in West New York, New Jersey invites drivers from Jersey City and surrounding communities to shop and visit us for a full-service dealership experience. Our team of Honda sales, finance, parts and service staff can cater to your automotive needs today! From our 5-Day, 500-Mile Exchange Policy to our Low Price Guarantee, there are many reasons to shop and buy your next new or pre-owned Honda here. 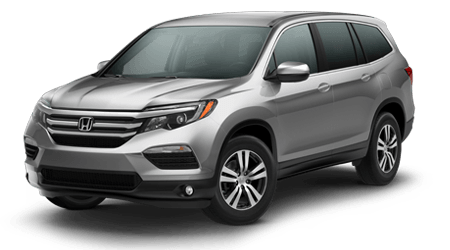 Whether you are looking for a brand-new Honda CR-V or a quality used car, SUV or pickup, shopping at Hudson Honda is the smart way to buy! 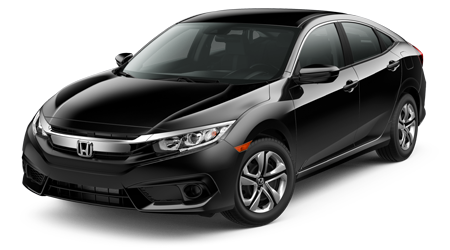 As West New York, NJ's dedicated Honda dealer, Hudson Honda is the place to turn to for not only new and used Honda automobiles for sale, but Honda finance and lease options and quality maintenance and genuine Honda parts. Find your stylish new Honda in stock, and know that our team is here to provide a hassle-free leasing or financing process. The sales team at our Honda dealership near Union City, NJ is eager to tailor a shopping plan that complements your budget. New Jersey car buyers can enjoy peace of mind with our five-day car exchange policy and three-day money back guarantee, so shop our selection online or on-site today! From sub-prime auto loans for your used car purchase to authentic OEM Honda parts and accessories, we have you covered! Plus, you can always turn to us for professional routine maintenance down the road! Our Honda dealership in West New York, New Jersey is home to the latest Honda automobiles at competitive prices. Discover what makes a Honda a Honda as you explore the new Honda Civic and Accord models, or stop by our dealership lot to speak with our helpful Honda sales team about the right Honda model for your family. Find a new Honda Pilot SUV and buy with confidence with our three-day, 300-mile money-back guarantee. Hudson Honda is home to the smart way to buy, finance or lease your next new or used Honda! Our secure auto loan application makes it easy to apply for car loans from the comfort of your New Jersey home. Our finance department offers bad credit financing assistance so that local used car buyers can obtain a dependable pre-owned Honda. Team up with the Hudson Honda finance staff today to explore New Jersey and beyond behind the wheel of a quality new or used Honda. Hudson Honda offers convenient online resources that cater to your automotive needs. Explore our new and used inventory, apply for auto loans or schedule Honda service online now, then visit us for first-rate customer service and driver-friendly prices! Browse our user-friendly website now, then contact our Honda dealership in West New York, New Jersey with questions. Discover the smart way to buy today! Hudson Honda is home to an impressive pre-owned inventory, from pristine pre-owned Honda options to quality used autos from other makes. With our five-day, 500-mile exchange policy and extensive used car inventory, shopping at our Honda dealership near Union City, NJ is the smart way to buy pre-owned! See what your current car is worth with our convenient vehicle appraisal service and trade-up to a stylish used ride today! Keep your Honda HR-V healthy by taking it to the Honda factory-trained technicians at Hudson Honda! We provide fair and transparent pricing on our many automotive services and offer service specials to help you save on routine maintenance. Relax in our comfortable customer lounge as our team performs a quick oil change! Book an appointment today and head over to our Honda service center in West New York, NJ, where our team will address any and all of your Honda maintenance needs. Hudson Honda offers convenient online resources that cater to your automotive needs. Explore both our new and used inventory, apply for auto loans or schedule Honda service online now, then visit us for first-rate customer service and driver-friendly prices! We invite you to contact our Honda dealership in West New York, New Jersey with questions once you have browsed our user-friendly website. Discover the smart way to buy today!